Well to each his own. 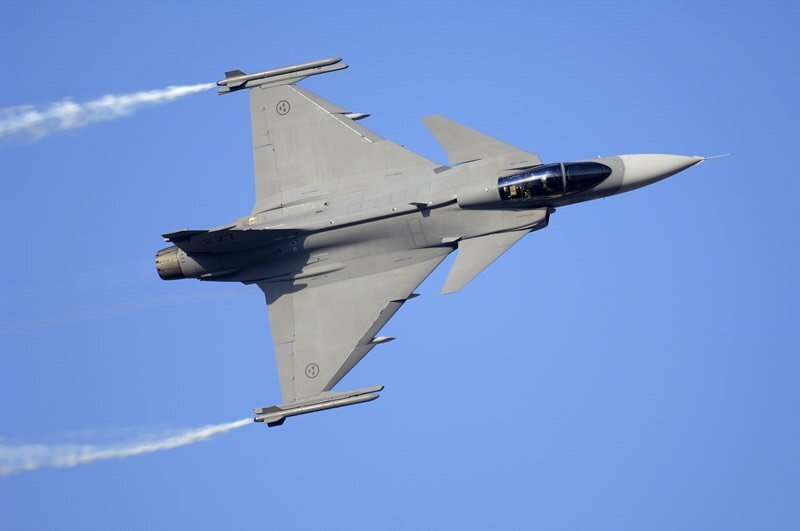 However the Gripen has its merits too. The Typhoon has been acknowledge to having the next best stealth signature next to the F22. Fact. It has a lot of abilities we don't fully understand like caring on a fight if the pilot becomes unable for some reason etc.. The F-22 is stealth, first shot and hope first kill. It has never been flown in combat so we theorize, if in fact it has a first shot first kill ability. You must remember that we have had a flying Typhoon since FC1, some tried to do the F-22 but it just never made it. The Typhoon did and now it is in transition to DCSWorld. That would probably account for hearing more on the Typhoon than the F-22. Last edited by rattler; 07-19-2012 at 01:25 AM. A stealth phoon? That would be interesting. IIRC, the F-35 has the best RCS when compared to other western fighters except the F-22A. Things like the PAK-FA or J-20 may be able to match it, but data is hard to come by. I must admit though, the probability is high that the phoon would smoke a 35 in a dogfight. Though the 35 does have the better tech supposedly. If you aim for the sky, you will never hit the ground. Last edited by Pyroflash; 07-19-2012 at 04:59 AM. I don't think there is such a mistery in the EFA beating the Eagles, nowdays the aircraft with the longer stick wins, nothing to do with fiery dogfights, so simple as the EFAs were able to deliver their weapons and stay out of the Eagles launching envelope. Nobody says the F15 isn't a great plane or that american pilots are not able, but 20-30 years separate the design of both planes, the EFA has better radar, can fly faster and higher. The F15 is aging, that's why the F22 exist. Incidentally one of the pilots in one of the two EFAs who took part in that combat again the Eagles flies Falcon with us in our virtual squadron. He has told us details about that engagement and he is a member in this forum so maybe he shows up here later on to tell more. Just to give a bit of more information, the engagement was 8 F15 vs 2 EFA + 6 F18, the Spanish had to protect a slow mover as well, the F15 got to kill some F18 but all of them got killed by EFAs. I am one of the Eurofighter pilot that flew in that mission as wingman. The data about the mission is correct. No typhoon shot down by F-15. You can believe or not but it's the same for me but please don't try to change the information to convince people in wrong way. Funny you mention that... How that´s supposed to work? First it asks: Do you want to play a game? I have some doubts as to if it can actually do that....although it is not impossible. If AI can be made to dogfight in the sim surely a computer can dogfight the aircraft on its own...Im guessing that it requires knowing the type of threat, where that threat is in relation to itself, and the attitude (no i dont mean the teenager type i mean what the ADI displays) of the threat...Then AI algorithms can be used to manipulate the control surfaces in conjunction with the fly by wire and it can fight back. The EF has feature called AAM. It's an autopilot attack mode. How ever it works it works. How it senses the pilot is out of action, we don't know, it just does. It is nothing the pilot has to engage, from the little I have read on it they just say the aircraft is capable of caring on an engagement when the pilot becomes inoperable. Out from too many g's, etc.Maybe it senses when the pilot lets go of the joystick and/or throttles. No one knows and won't know. -- English (US) -- Russian (RU) All times are GMT. The time now is 10:12 AM. vBulletin Skin by ForumMonkeys. Powered by vBulletin®.